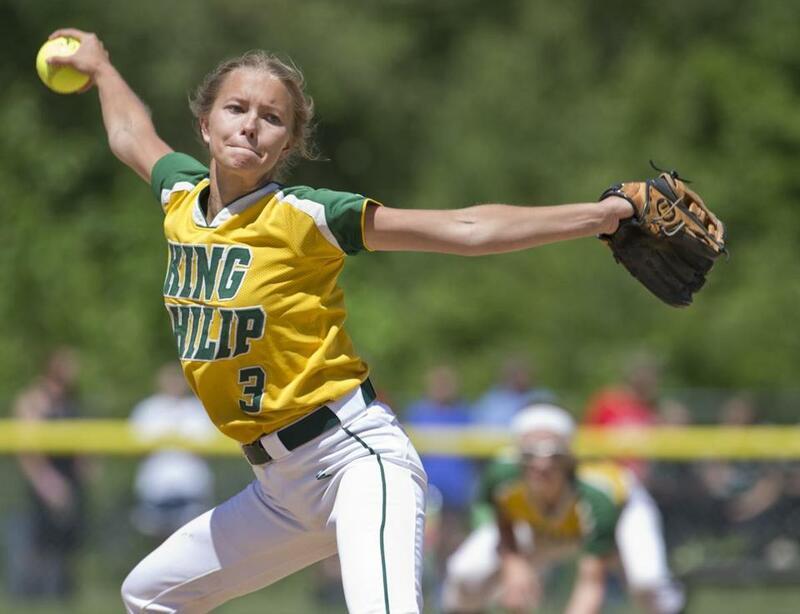 Kali Magane and King Philip beat Doherty to win the Division 1 state crown. A four-year Patriot All-Star, three-time All-Scholastic, and twice named Patriot MVP, Barone leaves with the career win and strikeout record for the Lakers. The senior was 23-1 this spring with a 0.76 ERA and hit .445 with 33 RBIs. 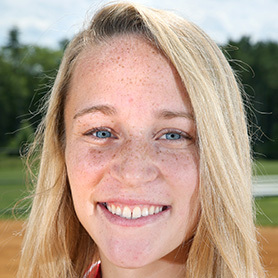 The MVC All-Conference pitcher led Tewksbury to the Division 2 state title game this spring. The junior finished with a 22-3 record with 103 strikeouts in 106 innings and she hit .428. She is a member of the National Honor Society. MacDonald led Austin Prep to the Division 3 State crown. The sophomore went 17-3 with 197 strikeouts and an 0.90 ERA. MacDonald has pitched for Austin Prep since eighth grade and has 468 career strikeouts and a 1.86 career ERA. With a .686 batting average, Bass finished the season with the second highest average in the state. The catcher had an OBP of .709 and finished with 16 stolen bases while helping the Tigers reach the North Sectional final. DaCosta led Bishop Feehan to a 19-4 mark this spring. The junior shortstop hit .506 with 8 home runs and 29 RBIs and she was an Eastern Athletic Conference All-Star. She has verbally committed to play softball at Villanova. The four-time Greater Boston League MVP compiled a 17-4 record from the circle this season. She had an 0.86 ERA and 210 strikeouts. Eisnor had a .530 batting average with 32 RBIs this year. Kistner finished with a 0.71 ERA and 113 strikeouts in 108 innings. From the plate Kistner batted .480 with 30 RBIs and 17 runs scored. She finished with a 16-2 record and was named Hockomock League Player of the Year. The MVP of the Northeastern Conference led the Big Blue to the Division 2 North title game and an 18-8 record. A junior, she hit .552 with five homers and 33 RBIs. From the circle she finished with a 1.92 ERA. The Merrimack Valley Conference Player of the Year, LeFebre hit 31 RBIs while batting .462 and smacking 13 extra-base hits. The four-year starter at catcher caught in all 90 games of her career with just three errors made. A two-time All-Scholastic, Magane led the Warriors to the Division 1 state title this spring. She went 19-3 in the regular season with a 0.51 ERA, then 6-0 in the postseason with 5 shutouts. She’ll play next year at Boston University. The shortstop was a four-year South Coast Conference All-Star and finished the season with a .474 batting average and 31 RBIs. Moore hit 14 extra-base hits this season with five home runs and had a .930 slugging percentage. Nelligan finished her rookie season with the best batting average in the state at .817. She had a stretch of 22 hits in 22 straight at-bats. 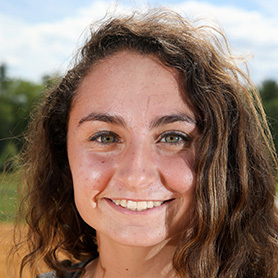 The center fielder led Abington to a Division 2 South Sectional championship. Nelson finished the season 21-2 with a 0.26 ERA and 336 strikeouts from the circle. The Tri-Valley League MVP tossed four no-hitters, two perfect games. She also had a .420 batting average. Nelson is an honor roll student. The pitcher led the Minutemen to the Division 1 State semifinals this year. She finished with a 19-3 record this season with a 1.08 ERA and 159 strikeouts. 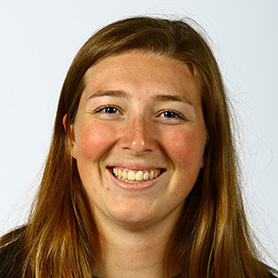 Oram tossed four career no-hitters and was also a four-year volleyball player. The Cape Ann League Kinney Division Player of the Year, Perrone pitched 112 innings this season, striking out 139 and compiling a 1.94 ERA. She batted .481 this season with 21 RBIs. Perrone also plays field hockey. The two-time Dual County League MVP and shortstop finished with a .597 batting average, including 16 home runs. 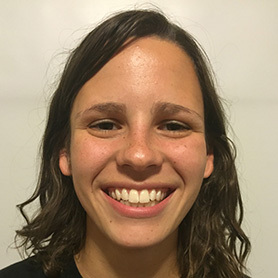 Ramirez-Tejada was a member of the Division 1 All-State volleyball team and was the Globe’s Athlete of the Year. Vachon was named Bay State Conference Player of the Year. She struck out 114 batters and had an ERA of 0.40. She also batted .441 with 23 RBIs. Vachon will be playing softball at Southern New Hampshire next season. The junior shortstop is a two-time Patriot League All-Star and this year had the highest batting average in the league at .510. 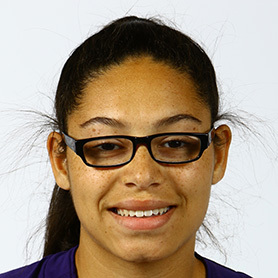 She had two home runs and 20 RBIs and struck out just three times as the Lakers finished the season 23-1. Dempsey coached Medford to a 17-4 record and a Greater Boston League title before the team lost in the North quarterfinals. 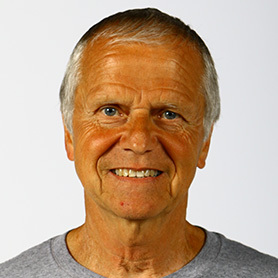 Dempsey was named Boston Globe Coach of the Year in Cross Country in 2014. DiRocco led Tewksbury to the Division 2 state championship and a 22-3 record. DiRocco has been named Merrimack Valley Conference Coach of the Year nine times. 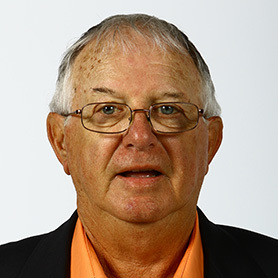 In 27 seasons of coaching softball, he has a 372-202 career record. 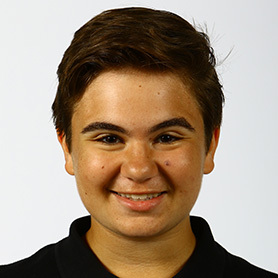 Sorrenti led Austin Prep to a 22-3 record this year and a spot in the Division 3 State championship game. 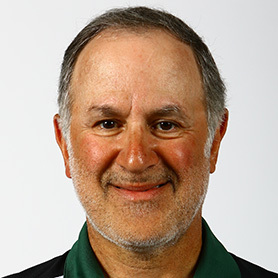 Sorrenti has been coaching softball for 11 seasons, five of them at Austin Prep, and he has a 50-39-1 career record. Atlantic Coast — Dennis-Yarmouth: Taylor Conley, Meghan Coyle, Sammi Feinstein, Abby Higgins, Ali Plucinski. Falmouth: Kathleen Desmond, Aibgail Pope. Marshfield: Autumn Brown, Megan Doyle, Ellie Fleming, Maria Giordani, Maddie Lentendre, Cathryn Maull. 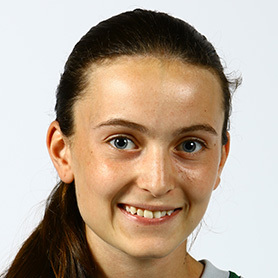 Bay State — Braintree: Erin Barry, Siobhan Donovan. Dedham: Caroline Mitchell, Kristina Mitchell. Framingham: Faith Daigle, Alex Leombruno. Milton: Charlie Guscott. Natick: Joyce Libbin. Needham: Lucy Colarusso, Julia Ritcey. Newton North: Izzy Antonelli, Caroline Bass, Kira Flegenheimer, Gabby Vachon. Norwood: Bryn Garczynski, Taylor Reed, Siobhan Reen. Walpole: Melissa Cochrane, Kate Wilmot. Wellesley: Olivia Hunter. Weymouth: Cassidee Fall, Renee Finnigan. 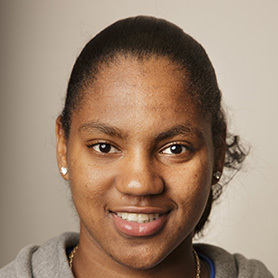 Boston City — Boston English: Jamile Paulino, Nia Richardson. Boston International: Nayma Baptista, Kiaraliz Polanceo Cruz. Brighton: Alaina Aiello, Cassidy Aiello, Katerine Perez. Burke: Altimisa Cardoso, Luisa DaSilva, Elise Perez. Dorchester: Melissa Louisdhon, Dasia Miles-Langaigne, Mariama Williams. East Boston: Kayla Elliot, Theresa Forbes, Sabrina Rizzo. Fenway: Jasmine Dingle-Brown, Isabela Marino, Kaleigh Roche. Latin Academy: Shamilya Banks, Kaileen Cotter, Olivia McGrath. Madison Park: Julissa Hernandez, Illianette Lugo Morales, Shanelis Pena. New Mission: Brianna Milligan, Kiara Serette. O’Bryant: Sabrina Costa, Maeve Fittz, Margaret Fortune. Snowden: Ailda Antigua, Ashley Arias, Samantha Toledano. South Boston: Michaella Gomes, Brenda Lai, Kaicey Zimme. West Roxbury: Lastarrisha Bradham, Vanessa Green, Monique McPherson. Cape & Islands — Cape Cod Tech: Elaine Sanchez. Nantucket: Farrell Duce, Brooke Holdgate, Madlyn Lamb, Samantha Stewart. 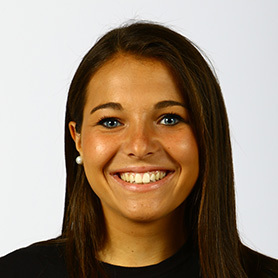 Rising Tide Charter: Ally Fosco. St. John Paul II: Maddie Doyle, Kasey Smith. Sturgis East: Deja Andrews, Sarah Clifford. Sturgis West: Shannon Crowley, Lylah Neiderberger, Althea Turley. Cape Ann — Amesbury: Haley Catania, Maddie Napoli. Georgetown: Kylie Hayward. Ipswich: Skylar Hambley. Lynnfield: Annika Han. Manchester Essex: Melanie Carter. Masconomet: Katrina Valeri. Newburyport: Stephanie Gleason. North Reading: Tara Driver, Cassidy Gaeta, Julia Perrone. Pentucket: Courtney Zimmerman. Rockport: Miranda Roller. Triton: Julia Hartman. Catholic Central — Archbishop Williams: Emma Crocker, Kyleigh O’Donnell, Katryna Veasey. Arlington Catholic: Jillian Drane, Sam Kenney, Erin Lane, Jackie Noftle. Austin Prep: Kylie Currier, Caty Flagg, Frankie Frelick, Logan MacDonald. Bishop Fenwick: Rachel Fisher, Julia Fusco. Cardinal Spellman: Lydia DiPina, Jordyn Needle. Cathedral: Nia Daley, Anel Guzman, Alexis Livingston, Valeria Monterrey. Lowell Catholic: Emily Carbonneau, Andrea Cervizzi, Paige Fournier, Hailey Lowell, Mary Tibbetts. Marian: Michelle Riley, Caroline Sistrand. Matignon: Natalie McAllister. Pope John: Justina Barressi, Tayla Paulding. St. Clement: Katelyn Anderson, Caroline Giangi, Karina Gomes. Saint Joseph Prep: Alex Chaisson, Natalie Fitzpatrick. St. Mary’s: Michaela Hamill, Mia Nowicki, Frankie Simon, Katie Terban, Vanessa VanBuskirk. Commonwealth — Chelsea: Izza Bourouis, Alizeya Gachana, Brandie Melanson. Essex Tech: Erin Crane, Katie O’Shea, Allison Vienneau. Greater Lawrence: Ariana Cruz, Alyssa Goulet, Olivia Michaud. Greater Lowell: Julia Dailey, Lianna Danas, Julie MacFadgen. Lynn Tech: Carmen Pascal. Mystic Valley: Anastasia Bessler, Elizabeth Callahan, Ashley Hynes, Colleen McGlynn. Northeast: Kaleigh Brammer, Allana Ellis. Notre Dame (Tyngsborough): Tara Kelleher, Kendall Leggitt. Presentation of Mary: Lindsey Gill, Gabby Salerno. Shawsheen: Victoria Basler, Nicole Kopacz, Katelyn Logue, Katie Stevens. Whittier: Lena Farranna, Kaley Thibault, Nicole Verrette, Ashley Wilson. 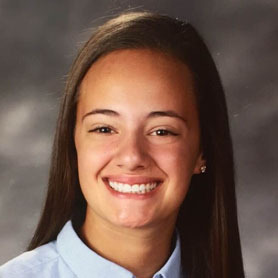 Dual County — Acton-Boxborough: Maya Haigis. Bedford: Elizabeth Carter, Nicole Kennedy, Candace Walsh. 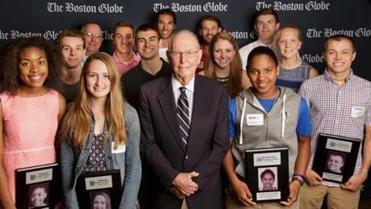 Boston Latin: Sydney McMorrow, Elizabeth Ward. Cambridge: Jayla Blackman, Eliza McNulty, Yuleska Ramirez-Tejada, Zoe Smyth. Concord-Carlisle: Scout Boynton, Lauren Harrington, Virginia Ryan, Nicole Small. Lincoln-Sudbury: Merry Baxter, Emily Graff, Nicole Pellegrino. Newton South: Kim An-Quin, Monica Cipriano. Waltham: Kaelyn Franco. Wayland: Emily Pappas. Westford: Caroline Baggeroer, Emily Bramanti, Allison Mulhern, Kayla Murphy. Weston: Maddie Piccione, Naomi Silverstein. Eastern Athletic — Bishop Feehan: Julia DaCosta, Sarah Jarbeau, Danielle Lyle, Sarah Magro, Kelly Price. Bishop Stang: Madison Machado, Mackenzie Shurtleff, Ashley Soares, Casey Thomas. Coyle & Cassidy: Kennedy Reyes. Martha’s Vineyard: Emily Turney. Somerset Berkley: Megan Antaya, Lindsey Chubbock, Cassie Graca. 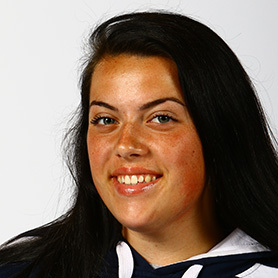 Greater Boston — Everett: Erica Ginepra, Hailey Powers, Talia Riccioli. Malden: Alexis Brown, Mackenzie Furlong, Haley Hoffman, Caitlyn Leonard. Medford: Gigi Braga, Ashley Eisnor, Brenna Forbes, Renee Staude. Somerville: Alyvia Baker. 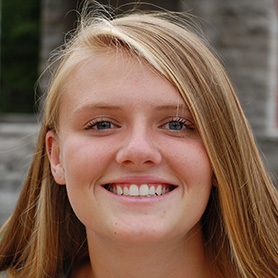 Hockomock — Foxborough: Hannah Davis. Franklin: Maddie Connelly, Alexx Niss. King Philip: Ashley Hession, Kali Magane, Christa Wagner. Milford: Maddie Farrell, Kate Irwin, Emily Piertustarazo, Jess Tomaso. North Attleborough: Gina Micelli, Mycala Moody, Amelia Murphy. Oliver Ames: Jamie Gottwald, Victoria Zinner. Taunton: Kya Enos, Aimee Kistner, Meghan Navarro, Jordan Wade. Mayflower — Avon: Shannon Sinclair. 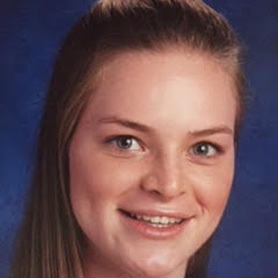 Bishop Connolly: Megan Quigley. Blue Hills: Madison Harris. Bristol Aggie: Sarah Ellis, Cora Monast, Malarie Pittsley, Laura Venturini. Bristol-Plymouth: Antonia Amaral, Lexi Kinney, Sami Mulcahy. Diman: Marissa Matias, Stephanie Perron, Katrina Rachel, Dalila Rosa. Holbrook: Caroline Curtis, Courtney Foley, Shannon Walker. 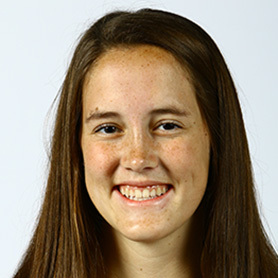 Norfolk Aggie: Morgan Dunham, Mya Neary. Old Colony: Emily Littles. Sacred Heart: Jillian Blake, Lauren Melchionda. Southeastern: Nina Hutchinson. Tri-County: Janis Gaudreau, Kyla Johnson. Upper Cape: Victoria Dallacostas, Amber DiBona, Molly Horn, Danielle Meuller. West Bridgewater: Anna Comperchio, Ashley Congdon, Allison May, Kathryn Pleach. Westport: Alicia Reitano. 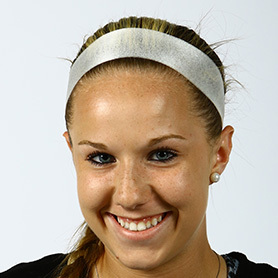 Merrimack Valley — Andover: Tori Roche. Billerica: Ashlie Jones. Central Catholic: Bella Jankowski, Niamh Walker. Chelmsford: Meg Dugas. Dracut: Jen Gomes, Ryley White. Haverhill: Michaela Kane, Bryana Mitchinson. Lawrence: Brianna Rivera. Lowell: Haley Drakoulaos, Courtney Latta. Methuen: Kathleen LeFebre, Lauren McDonough. North Andover: Susan Mather. Tewksbury: Adrianna Favreau. Middlesex (Freedom) — Burlington: Gabby Desrochers, Hannah Miksenas, Kat Nikolopoulos, Cassidy Smith. Melrose: Victoria Crovo, Alyssa Gorman, Alexandra McGuire. Stoneham: Taylor Schon. Wakefield: Meghan Burnett, Alexis Truesdale. Watertown: Cali McMahon. Wilmington: Jennifer Dovidio, Dana Goulet, Shannon Horgan, Ally Moran. Middlesex (Liberty) — Arlington: Michaela Farmer, Holly Russell. 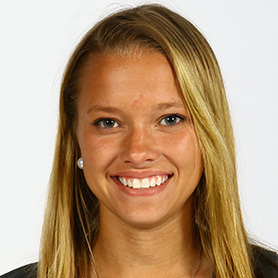 Belmont: Meghan Ferraro. Lexington: Caitlyn Burke, Siena Filippi, Maggie Oram. Reading: Stephanie Ghostlaw, Ali O’Leary, Taylor Perillo. Winchester: Caroline Clark, Mary Manganaro. Woburn: Emily Arrendondo, Katelind Ciavardone, Kaitlyn Cronin, Kaitlyn Deleary. Northeastern — Beverly: Peter Coletti, Olivia George, Julia Pitman. Danvers: Daria Papamechail, Elizabeth Prentiss. Gloucester: Sarah Francis, Meagan Manning. Lynn Classical: Alaina Gridley, Kaitlyn Marcinko. Lynn English: Rachel Calnan, Sarah Tobin. Marblehead: McKenzie Joyce, Emily Promise. Peabody: Amanda Crawford, Tianna Dawe, Ashley Jenkins. Revere: Gia Santanello. Salem: Tayla O’Leary. Saugus: Alex Almquist, Caity Sheehan. Swampscott: Olivia Cook, Hannah Leahy, Riley Lord, Kattie Watts. Winthrop: Gabbie Kenniston. Old Colony — Barnstable: Danielle Curtin, Sara Higgins. Bridgewater-Raynham: Stephanie Cavallaro, Michaela Colleran, Stacey Korotsky, Nicole McSweeny, Allison Murphy, Taylor Poulin, Natalie Sorrenti. Dartmouth: Lulu Mayo, Rachel Pereira, Jenna Rainville. Patriot — Duxbury: Leigh Brandenburg, Lillian Foote, Mikayla Zukowski. Hanover: Lauren Gelly, Callie MacDonald, Kayla McMahon, Lindsey North, Caroline O’Rourke. Hingham: Claire Yotts. Middleborough: Laura Hatch, Lexi Pereira, Lindsey Woodward, Vicky Woodward. North Quincy: Mia Sapienza. Pembroke: Taryn Cahill, Malinda McCartney, Sarah Tropeano. Plymouth North: Jenna Crowell, Ali Petrelli, Nicki Ross. Plymouth South: Shannon Colbert, Jessica Whyte. Quincy: Madison Synan. Scituate: Kate McDonald. Silver Lake: Maddy Barone, Emily Critch, Kelly Danahy, Shannon Grindle, Hannah Johnson, Caroline Videtto. Whitman-Hanson: Colleen Hughes, Sarah Saccardo. 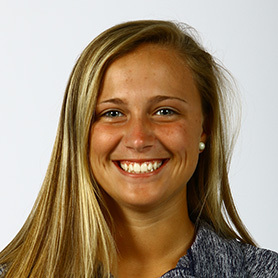 South Coast — Apponequet: Grace Boelher. Bourne: Renee Moore, Molly Neil. Case: Madison Carpenter, Kaiulani Ennis. Dighton-Rehoboth: Lauren Cappiello, Kyla Fletcher, Emily Stevens. Fairhaven: Elyse Rebello, Shaina Thomas. Greater New Bedford: Rileigh Avila, Kayle DeMedeiros. Old Rochester: Hannah Guard. Seekonk: Kelsey Majuk. Wareham: Neely Eddleston. 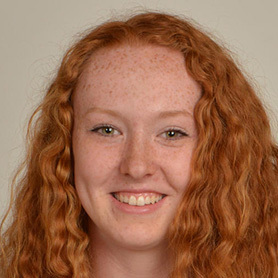 South Shore — Abington: Kate Donovan, Caitlin Murphy, Lauren Nelligan, Tori Young. Carver: Tori Bell, Olivia Camello, Avery Carrara. East Bridgewater: Emily Dyer, Jackie Gavin, Sophie Halverson. Mashpee: Jaylynn Merkman, Sidney Pinsonneault, Jessica Schmezler. Monomoy: Taylor Schaub, Emma Thacher. Norwell: Colleen Benedict, Chloe Hohmann. Randolph: Donnielle Gold. Rockland: Angela Turner. Tri-Valley — Dover-Sherborn: Emma White. Holliston: Grace Dzindolet, Shannen Murphy. Hopkinton: Brianna Mirabile, Kate Welzel. Medfield: Ivy Bonoldi, Dana Gill. Medway: Kerry Sendrick. Millis: Carly Wenzel. Norton: Kelly Nelson, Steph Nosky. Westwood: Jamie Burke, Jenna Burke, Leah Nocera. The All-Scholastic softball team was selected by the school sports staff. Selection is limited to MIAA schools that compete in EMass leagues. Text by Brandan Blom. Photos by Mark Lorenz.